Make sure to get your Kids for £2 train tickets and take them out for less on weekdays over the half term holiday. This understated planetarium at the Central Museum has an exclusive atmosphere with its limited seating, but for what it lacks in size it more than makes up for it in a grand and momentous exploration of the deep universe! What better way of spending all that excited half term energy than on the buzz and thrill of theme park rides and attractions! Southend’s famous Adventure Island is the ideal family fun joy generator, with rides, games, activities, music and food for every age in the family. So what are you waiting for? When? The theme park is opening up for the half-term week between 16 – 24 February. How to get there: Take the c2c train to Southend Central. 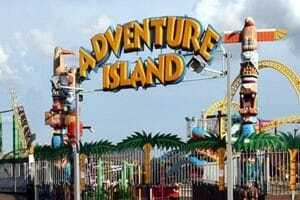 Adventure Island is located next to Southend Pier. Stop by at Rainham Marshes this half term to enjoy and explore what discoveries lie in wait at one of Essex’s most popular nature destinations. There are “explorer bags” to hire from reception should you wish to embark on a family adventure, or there are purpose built play areas for the little ones and cosy cafes for the adults. If you’re really feeling courageous, book onto the Pond Dipping to see what creatures you can find beneath the depths! When? Located at Rainham Marshes Nature Reserve, between the 19th and 21st of February. Check times and availability prior to visit. How much? Tickets per child cost £1.50. How to get there: Take the c2c train to Purfleet. Jump Giants is a great way to jump around and burn off all that excess energy that the holidays bring, and not just for the kids, there are plenty of activities for all ages. 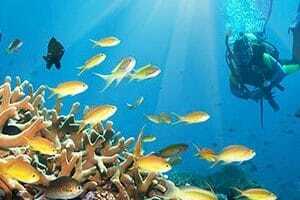 Come and observe the swimmers of the deep seas at Southend’s Sealife Adventure aquarium. From penguins and fish to sharks and rays, this ever popular destination promises to deliver a heap of wonder for those curious children. Even more excitingly, there are now meerkats and monkeys as part of the Sealife family for you to come and meet too. When? Located on the Eastern Esplanade of Southend-on-Sea, Sealife Adventure is open daily between 10am and 5pm. How much? Prices vary depending on age, however discounts are available when you take the train. How to get there: Take the c2c train to Southend Central. This multi-coloured multi-structure play palace is the perfect place for your kids to run around and enjoy themselves in a safe and fun environment. At Partyman, there are slides, ball pits, crawling tubes, football zones and even designated areas for little ones under 3 years old. 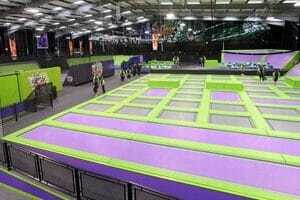 The staff are attentive and friendly, and with comfy sittings areas for Mum and Dad, it’s a great day out for the kids. It also has an ever changing menu of fresh food for all ages. When? Located at intu Lakeside and is open from Monday to Friday between 10am – 6:30pm. How much? Prices vary depending on child’s age and peak / off-peak hours, but you can find out more here. How to get there: Take the c2c train to Chafford Hundred.